Growing up in an Irish Catholic family near Boston, we three Callahan boys—Sean, Colin and Kevin—could always be counted on to be the altar boys at the 7 a.m. Mass. We played church league basketball, went to the pancake breakfasts and youth retreats—all the usual activities. Being a Catholic was part obligation and part just who we were. It was our identity. My strong Catholic identity led me to talk to a recruiter from CRS when I was finishing up my master’s degree at Tufts University in Boston. In short order, I signed up and headed to Nicaragua. I thought I would spend a year in service, give something back, and then return to my regular life. But something unexpected happened. In Nicaragua, I began to experience Catholicism in a different way. I wasn’t just being a Catholic, I was living my Catholic faith. 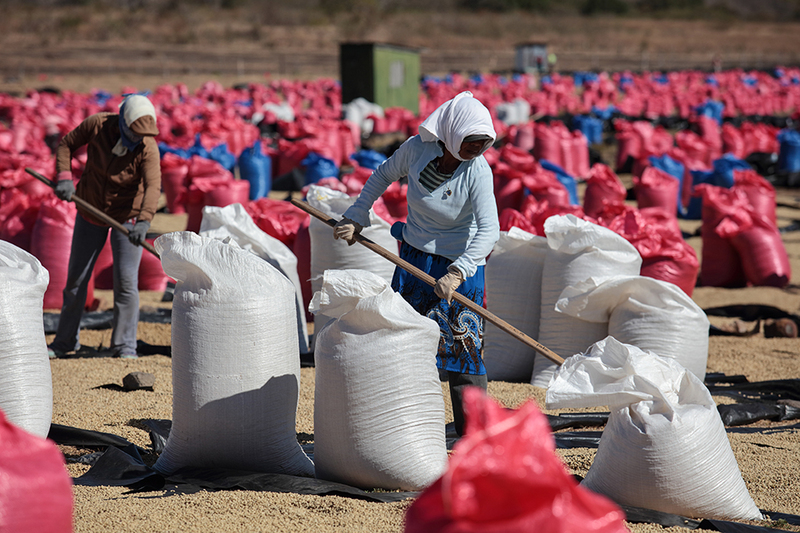 Coffee is dried in the patios of a coffee processing facility in Matagalpa, Nicaragua. Here coffee is selected and classified, packed and readied for export. In 1988, when a horrific storm—Hurricane Joan—devastated the Atlantic coast of Nicaragua, I had already been in the country for months. As part of the storm response, representatives from organizations working in the region were introduced to the community. When they got to me, people said, “You don’t have to introduce him. He’s one of us.” CRS didn’t just drop in and leave—we dedicated ourselves to the people we served. We got to know people—their pain and their hope. It made me realize the importance of perseverance. And here I am, 30 years later. Perseverance and faith. This is how CRS’s approach to service leads to permanent change. We often promote the programs that are in progress, but our greatest achievements are those programs we have “completed”—those that continue to improve the lives of people in need. In the 1980s, CRS worked to combat childhood mortality in the western African country of The Gambia by introducing the cultivation, processing and marketing of sesame, which produces very nourishing oil and seed cakes. It was mainly women who got involved. We worked with them, we trained them and we built up their capacities. Then over a decade ago, we moved on. But today those sesame growers are a thriving NGO called the National Women Farmers Association, involving some 48,000 women from 1,072 villages across the country. With help from CRS, those women made sesame an important domestic—and even export—crop. 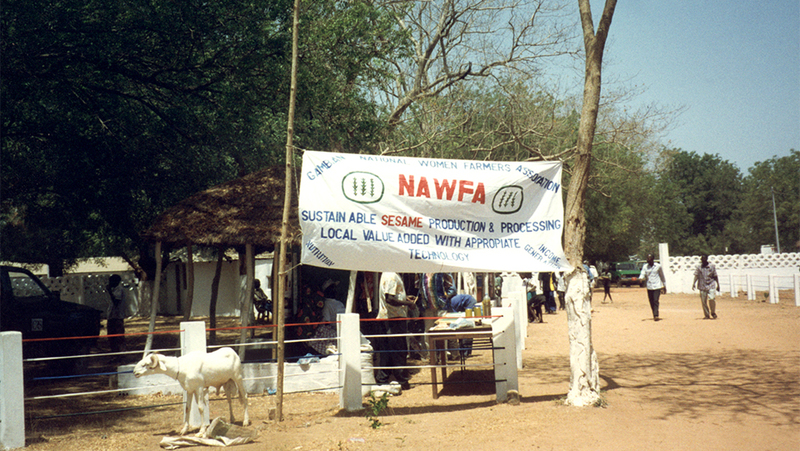 The National Association of Women Farmers banner at the Gambia agriculture show. All around the world, there are examples like this. We turned our AIDSRelief work over to local partners in 10 countries. Today, their results are even better than when we ran it, and we couldn’t be happier! Whenever we start a community-run savings and lending group—SILC—we only stay for one cycle then leave once the members start seeing profits. Nearly every SILC group keeps going—and growing—on its own. I look back over CRS’ 75 years and see a history made of stories like these. The children and grandchildren—and even great-grandchildren—of refugees we resettled in our early years are living productive lives because of work we did seven decades ago. And the children of the women in that sesame program didn’t just get better nutrition, they got an education because their mothers made enough money to pay their school fees. Our work leads to permanent change that continues for generations. 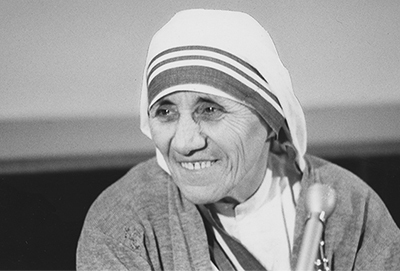 I want the future of CRS to be based on two things I learned from Saint Teresa of Calcutta while working with her in India—be bold and be humble. This may seem contradictory, but the ideas go hand in hand. To solve big problems, we must be bold enough to take them on. But we must be humble enough to know that we cannot transform the world on our own. And we must be humble enough to listen to—and learn from—the people we serve. In the coming years, we believe we can eradicate malaria if we are bold enough. We believe we can end the HIV/AIDS pandemic. And, perhaps most boldly, we believe we can be agents of peace in a world divided by conflicts. So many problems arise from violent conflict. It drives refugees from their homes. It sets back economic development for a generation. It leads to death, destruction and division. I can think of no better way to honor CRS’ 75-year legacy—and to live our faith—than to dedicate ourselves to peace in our lives, our communities, our country and our world.